يقع في نورث بريدج, شقق فيرانده إنه المكان الأنسب لاكتشاف برث و ما يحيطها. يقع الفندق على بعد 1.5km من مركز المدينة، ويؤمن الوصول إلى أهم مراكز المدينة. إن سهولة الوصول من الفندق إلى المعالم السياحية الشهيرة الكثيرة في المدينة كمثل ‪St Brigid's Church‬, نورث بريدج, سينما باراديسو هو استثنائي بحد ذاته. إن شقق فيرانده حريص على توفير الراحة للنزلاء، فلا يوفر الموظفون جهداً في تقديم أفضل الخدمات وضمان حسن الاستقبال. يمكن لضيوف الفندق الاستمتاع بالميزات التالية على أرض الفندق: واي فاي مجاني في جميع الغرف, أمن على مدار 24 ساعة, متجر, توصيل من البقالية, تأجير واي فاي محمول . لقد جهزت هذه الإقامة الفندقية بعناية فائقة لتوفر مستوى عالي من الراحة. في بعض الغرف يجد النزيل تلفزيون بشاشة مسطحة, سجاد, صوفا, إغلاق, اتصال لاسلكي بالإنترنت. كما أن مجموعة الخدمات الواسعة الموجودة في الفندق لضمان راحتك تترك لك الكثير من الخيارات لقضاء وقتك أثناء فترة إقامتك. يحظى فندق شقق فيرانده بموقع ممتاز وخدمات يصعب منافستها. The apartment is very spacious and well equipped with microwave, toaster,electric kettle and utensils. The bedsheets are change every 4 days, i think this is good for the environment It is a quiet neighborhood. The CAT bus is around the corner to commute to the city. Overall rating is good. Pros: clean, love the apartment, fully equipped kitchen with salt and pepper, friendly and helpful staff, sufficient staff for children to run about. Provided the 2 high chairs and cot promptly. Cons: parking was an issue and the only road leading to the carpark was closed on one of the days. Had to get the event organiser to remove the closure. Thankfully the Verandah staff was very helpful and drove down to help us. We booked 2 bedrooms apartments and stayed for a few nights. the apartment is spacious, and fully equipped with with washing machine, kitchen utensils, etc. and so we are able to do some cooking. Location of the apartment is definitely a plus. it's closed to eateries and shops. all are within walking distance. the only drawback is the air-con system. they are only available in the living room area and master bedroom. the other room is with no air-con and only have fan. 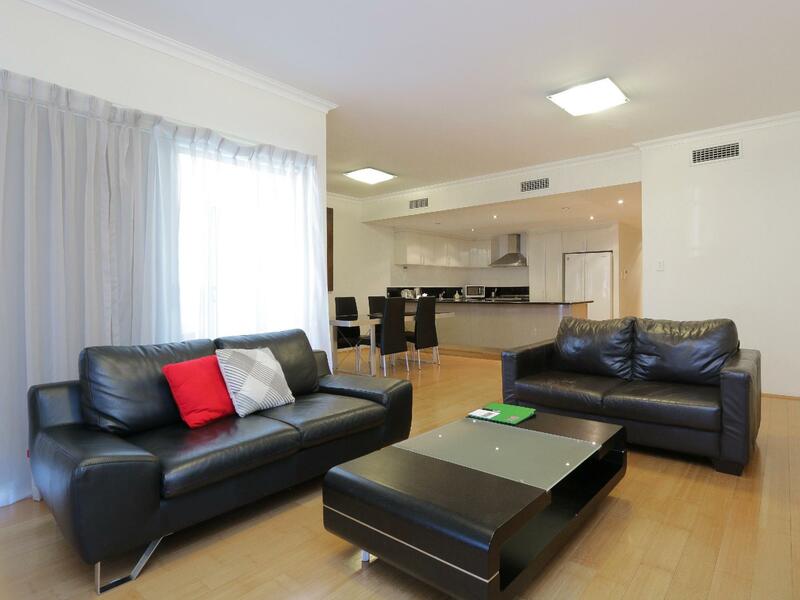 We booked this very spacious 3 bed 2 bath apartment. Very modern, well equipped and free Wireless Internet. 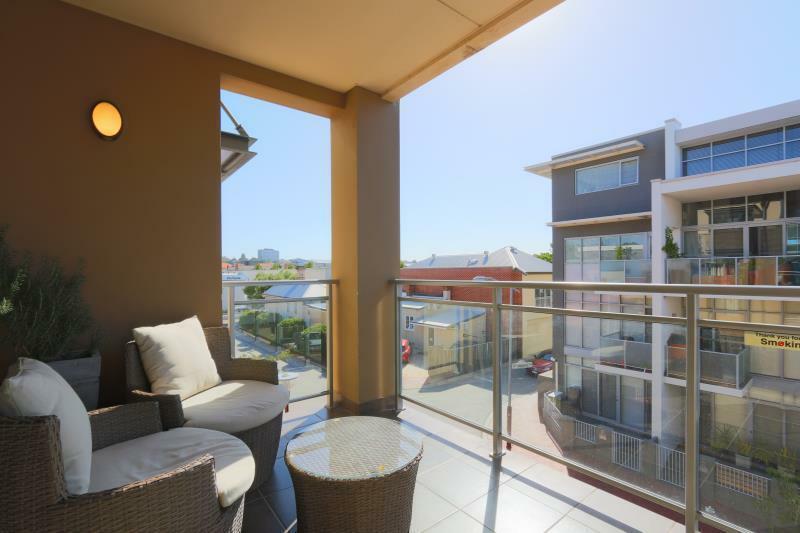 The location is great, walking distance to Northbridge and the city. The only thing is air condition cannot function..
Everything is ok except for the check in I need to wait for 30 mins as there is no staff attending at the counter. The house keeping was suppose to be done on the 4th day of the stay , but no people come to clean until I tell the counter stuff on the 5th day. Overall is still ok as the location is around 10mins walk to the cafe & restaurant. The Verandah apartments were a great place to stay if you are there for a few nights. 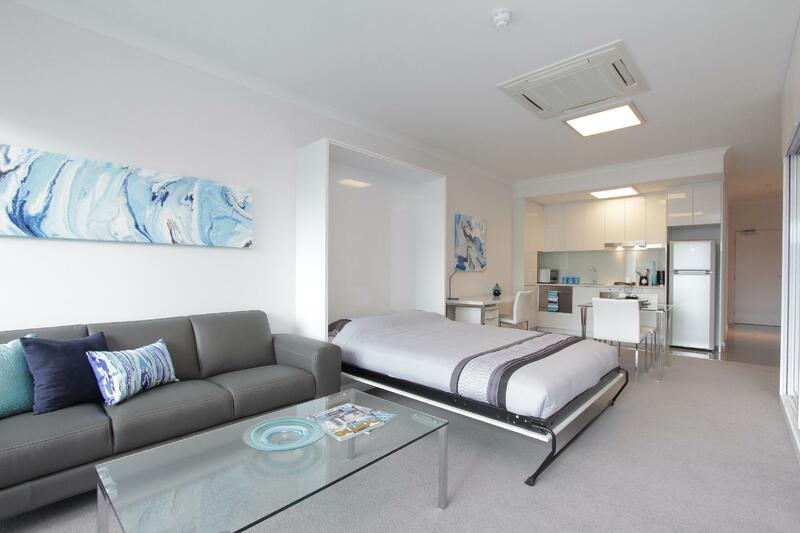 Spacious self contained apartments with plenty of Restaurants and nightlife nearby. Service was prompt, apartment spacious, provided us with cots and high chairs and a baby bath. Provided us with a bbq pit on request. Free parking too! All in all a very pleasant stay. Dear Emily, Thank you for your kind feedback, we really appreciate the time you took to review us. We are so glad that you enjoyed your stay with us. Our reception is 24 hours 7 days a week, our night security ensure the safety of our guests throughout the night. We are currently working om improvements. We would love to have you back at Verandah to show how much we can improve. Verandah team will look after you during your stay. Kind Regards Verandah Apartments Management. For a last minute booking, I could not have been happier. It worked with my after hours check in and check out time, the apartment was clean, cosy and made for a very comfortable weekend stop in. Will certainly be coming back to stay on my next trip. Highly recommended. Dear Chow, Thank you for your lovely feedback, we appreciate the time you took to reviews us. 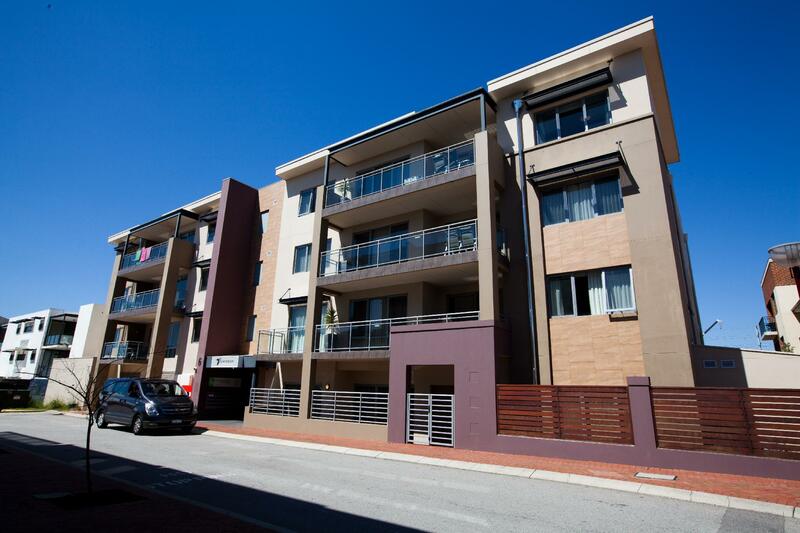 We are glad to hear you had a great time staying with Verandah Apartments. We hope to see you here again. Kind Regards Verandah Apartments Management. The location is excellent for travelling to the surrounding attractions. The location seems to be just outside the CBD and avoids all the heavy traffic during peak hours. The rooms are fine but they only clean it once a week for studio apartments. Parking is an additional $15 a day. The carpark could use some mirrors to help with the blind spots. Very nice roomy clean apartment. Everyone of us said wow! as we walk in to the room. Only a few things we thought would be nice to have were another lift and a phone in the room. There was only one lift and no access to the rooms by the stairs. Can go out the emergency stairs but need a key to get back in (A girl in the reception told me that room key works but didn't work). Would be nice to be able to talk to another room or make a call to outside or reception but no phone in the room. Being overseas elderly tourist, not all of us new how to use own mobile in Australia. Also once you've checked out, you are not allowed to use the staff toilet in the reception. I had to ask twice for our elderly member and they let us use the toilet. Would be nice to have a free access to the toilet being the guest of the apartment. They were still helpful dealing with late arrival of taxi etc. Overall, all 9 of us enjoyed the stay and most likely come back again. Poor management, our assigned parking slot was taken by other tenants but the manager didn't do anything for us except told us to park in a very hard to park slot. No lift from underground parking to rooms. The address advertised on the website is not the same as the one we stayed - they said because they got several properties. With similar price, I'd rather stay at Quest or Mantra next time. Good experience for my 1st trip to Perth which consist of 5 adults in Dec 2015. 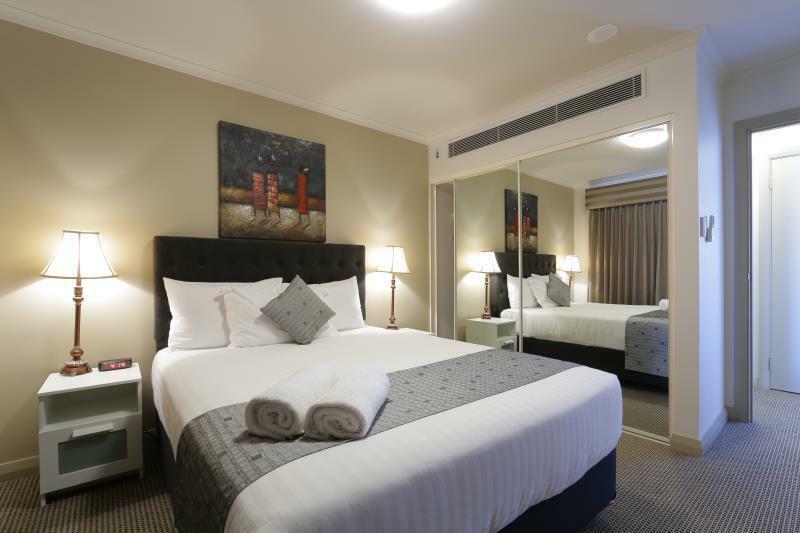 I've booked 2 rooms apartment & the master bedroom was so big which can cater 1 queen bed & 1 double decker. The kitchen is completed with all type of kitchen utensils. It's just took 10 minutes driving from apartment to city - Murray Street. The safety is tip top. The contra is just no lift & it seems not suitable for elderly. Location, parking facility, spacious room, friendly staffs, convenient location. Really fantastic place. Would be back again if coming with the family again. Only one issue with the booking....asked for an apartment for 6 adults but was given one with two bedrooms which sleep only 4. Was expecting at least a king size bed but got queen size. Arrived late so it was difficult to make additional arrangements. Roughed it out but the experience in general was good ! Ice addict had a psychotic episode in car park - expected to go down in the morning and find my rentail car trashed. 2 drunken fighting like cats in the hallway Loads of drunken people in the neighbourhood but that is Northbridge Otherwise, a great establishment in a great location. Will stay again. Wonderful service, clean and well designed apartment. Location is good if you drive. One of our lights and the clothes dryer were faulty, but the fantastic staff replaced the light and fixed the dryer immediately. Overall a great place to live, though a bit more costly than alternatives.